Today’s EDHID SHORTCUT guest is a very dear friend of mine, music and vinyl lover, Thomas Brand from Karlsruhe/Germany. 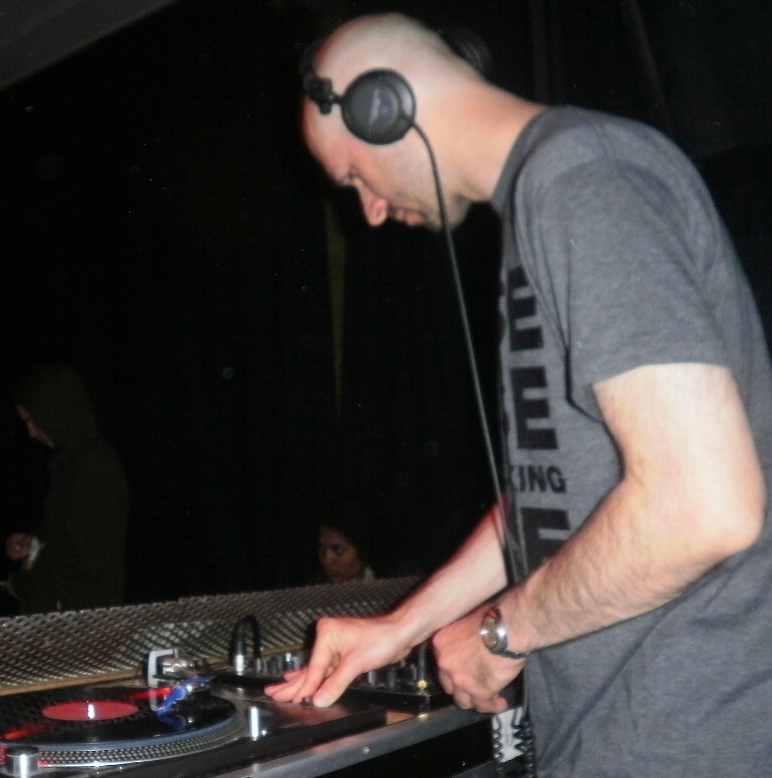 He discovered electronic music in legendary club Milk in Mannheim or at Psychokitch parties in Heidelberg where DJs like D-Man, Move D, Holger “Groover” Klein, Seebase, C-Rock, the Needs(Not Wants)-crew and many more played regularly. Thomas danced at early Time Warp parties before it even became a rave. Thomas plays frequently clubs and radios and curates the DJ Stage of one of Southern Germany’s biggest festivals called “Das Fest”. Check out his “OneMonthOneMix” series on Soundcloud/Mixcloud and enjoy his exclusive recording he did for EDHID. At the moment, it’s Karlsruhe where I have most of my favourite friends around me. It was in the ’80s with a lot of just normal pop music. But at that time I preferred to do sports. Difficult, but it could be the compilation ‘The final’ from Wham!. I don`t have one. But it should be a philosopher. Which is your favourite record store? The best and closest one, with also new records, is Tactile Records in Frankfurt am Main. Of course, it was the idea to share the music you love with others but the first triggering effect came from Kristian also known as one part of Âme (Innervisions). Oh my god, it was a really bad mixture between hip hop, house and techno, with a lot of really bad cutting and scratching on it. Must be something like 17 or 18 years ago. That`s really a good question, because that`s one of the most important times from a good club-night. I would say, it should give the main-act a good platform to start his set and it should take the crowd slowly on a journey and that they have no other option as to stay on the dance floor. I`m not a friend of pigeonholing, but to give an idea, my set`s are ranging between Chicago House, that kind of “Berlin” – House and Techno (Detroit). 99% vinyl and 1% CD`s. “Tag 1”at club Waldsee in Freiburg and club “Erdbeermund” in Karlsruhe. The record that works almost every time is Francois K. & Erick Kupper’s Vocal Mix of Moloko “Forever More”. Of course, to see the smile in the faces of the crowd when you play the records in the right combination. An empty dance floor, a bad sound system and people who stay around instead of dancing. A lot of water, sleep and ambient music like Laaraji (New age ambient musician from the ‘70s/’80s!). As you know, I live in Karlsruhe with the highly recommendable museum ZKM (Center for Art and Media); so, I would naturally say modern art and I always try to see the latest exhibition. Which word in local language is first to learn while travelling in a foreign country? A lot of history with the Hagia Sofia and many more historical places, a huge range of traditional and experimental music which I figured out recently as well as a strong interest to go there one day with my good friend Sinan. What is your message to Istanbul’s audience? Get lost into the music and I hope that I will be the one who is presenting them the soundtrack for that day and night (smiling). Where do you play next? At the lovely “Mudd-club” in Straßbourg (France).